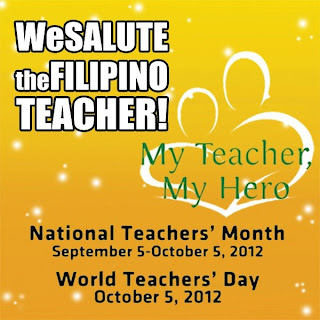 The Department of Education (DepEd) supports worldwide campaign to honor noble profession thru World Teacher's Day celebration on October 5, 2012 with the theme "My Teacher, My Hero.". As confirmed, venue of the activity is at Philippine Sports Arena (ULTRA) in Pasig City. DepEd expects hundreds of Filipino teachers to flock with the major gathering. First World Teacher's Day happened October 5, 1994. Armin Luistro, Education Secretary shared his deep respect and appreciation to all teachers, as they continue to strive for excellence in helping shape their students’ lives. A DepEd memorandum will be released for this activity for nationwide awareness. The said activity is intended also to discuss relevant matters for the benefits and welfare of teachers. 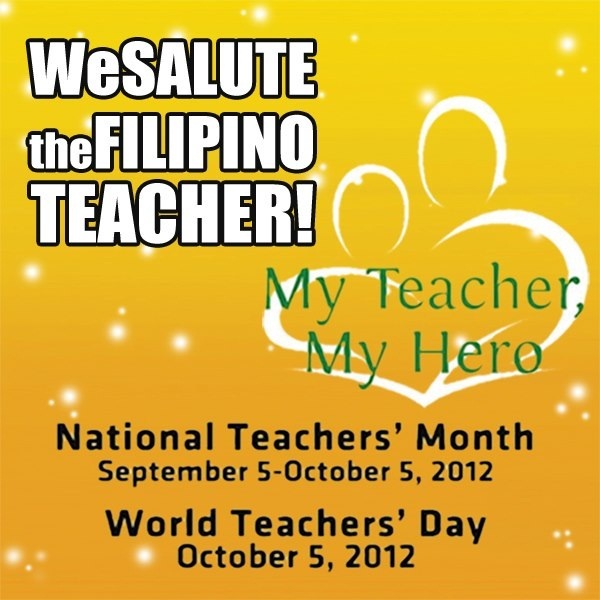 World Teachers' Day is a global observance and not a public holiday, UN said.